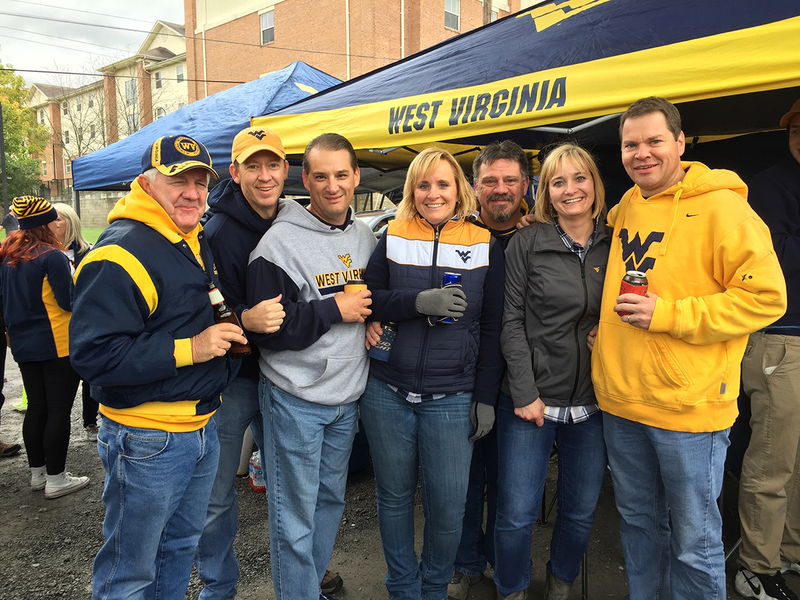 Family was the underlying theme of last weekend’s cold, wind-bruised game day. 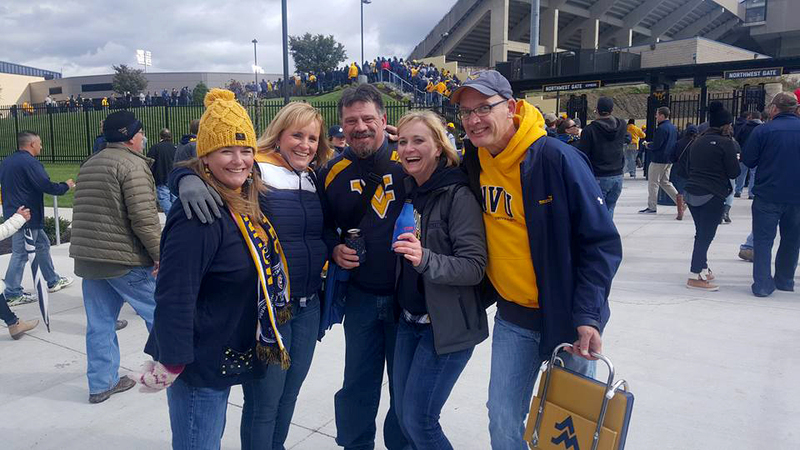 It started Friday when my sister, Missy, and brother-in-law, Rick, met up with us in Morgantown to celebrate game weekend (and my birthday). 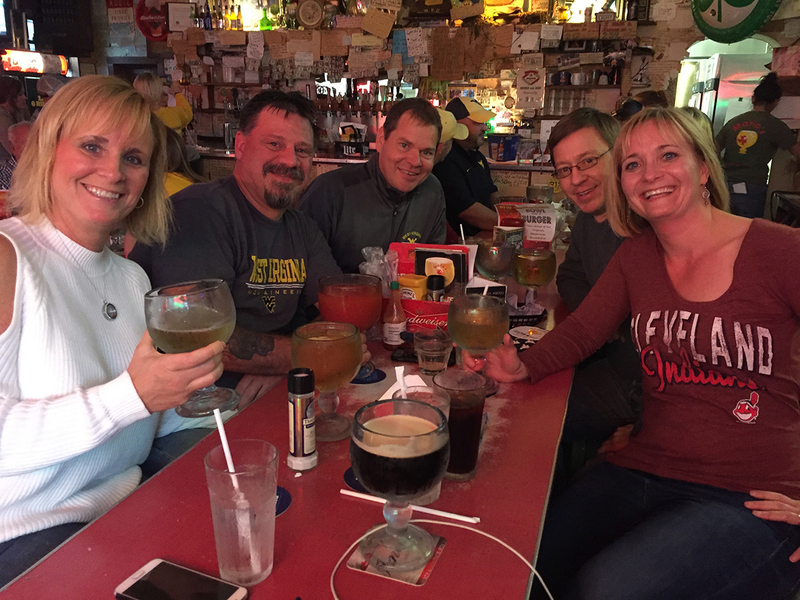 Of course, those celebrations took us to my favorite place on the planet, Mario’s Fishbowl. 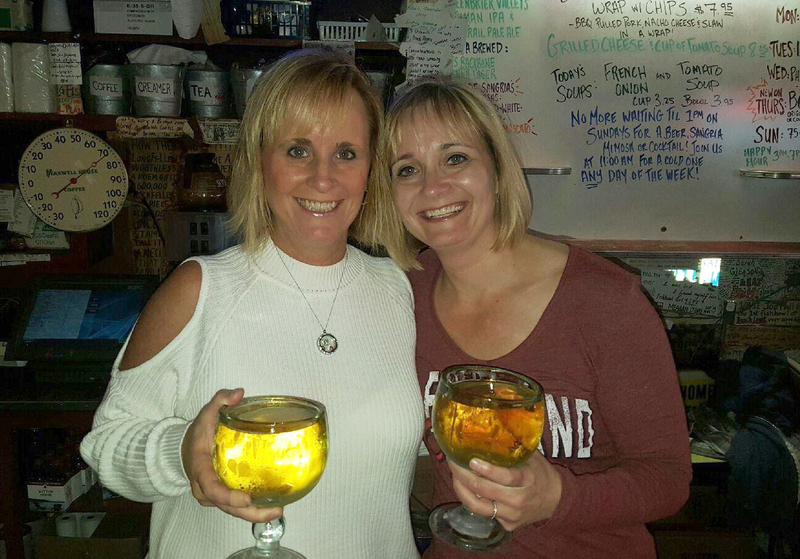 It’s not just the cold, frosty fishbowls and delicious Cowboy Ranch wings that make it so special. The unabashed hospitality with warm hugs and spirited greetings makes you feel like good friends invited you to dinner. 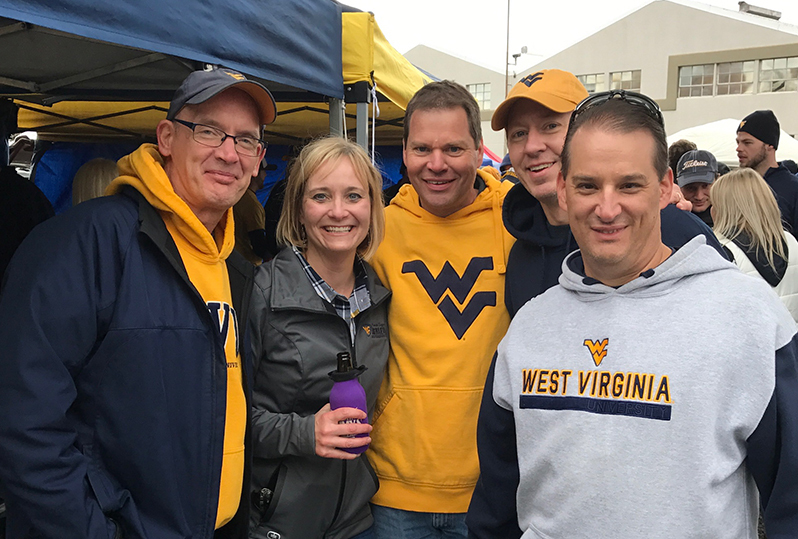 I always look forward to seeing members of my Mountaineer family at Mario’s, and this weekend that included my college friends Steve, Bryan and Mark. 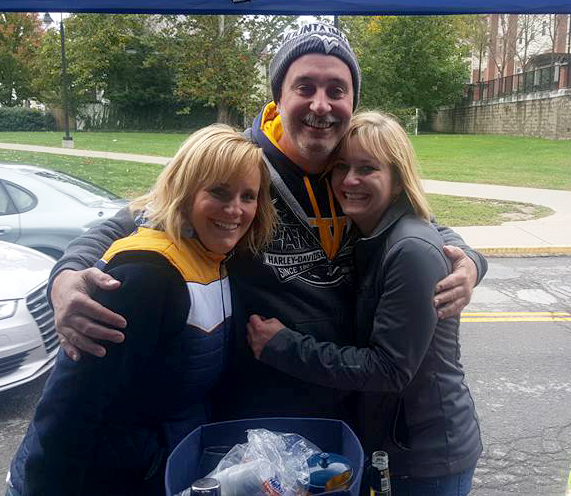 Steve and Mark had come in from Phoenix for their annual trifecta of a guys’ weekend – Penguins game Thursday, Mountaineer game Saturday and Steelers game Sunday. 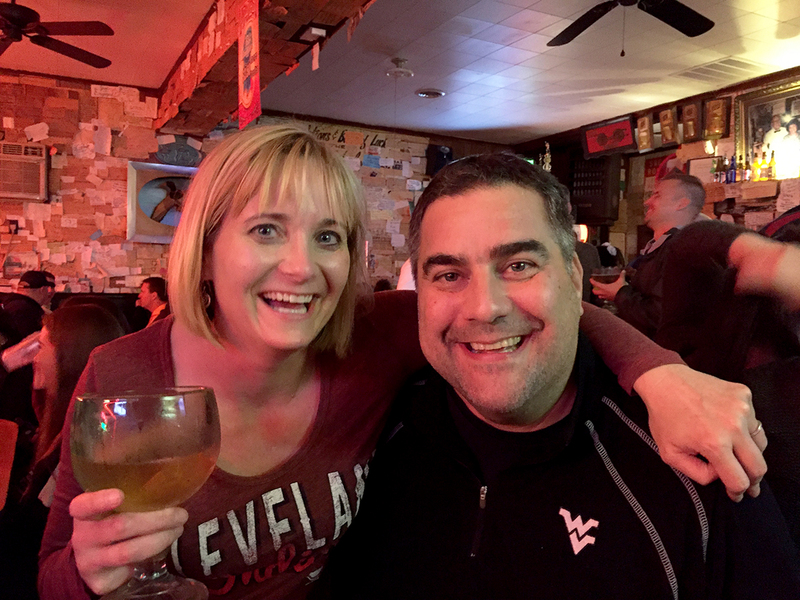 We ended the night at Crockett’s, where a few more friends joined us for our annual pool tournament. Despite the late night and dreary weather, we woke up early raring to go. Well, maybe not all of us as early as Dave. 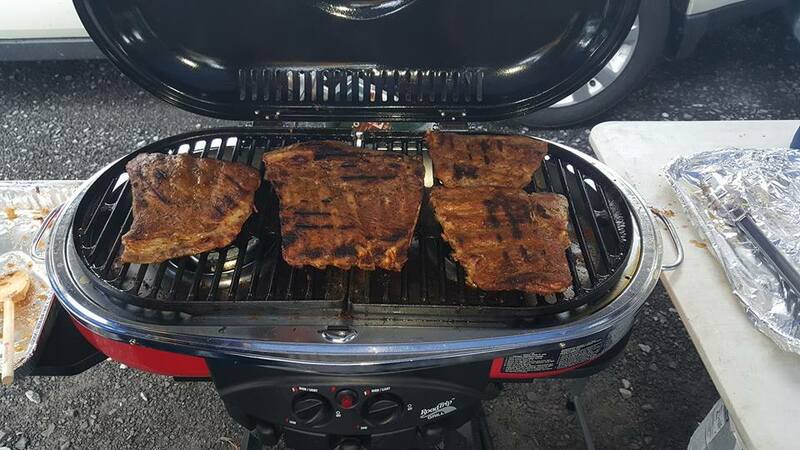 He broke a new record when he set up our tailgate at 6 a.m. 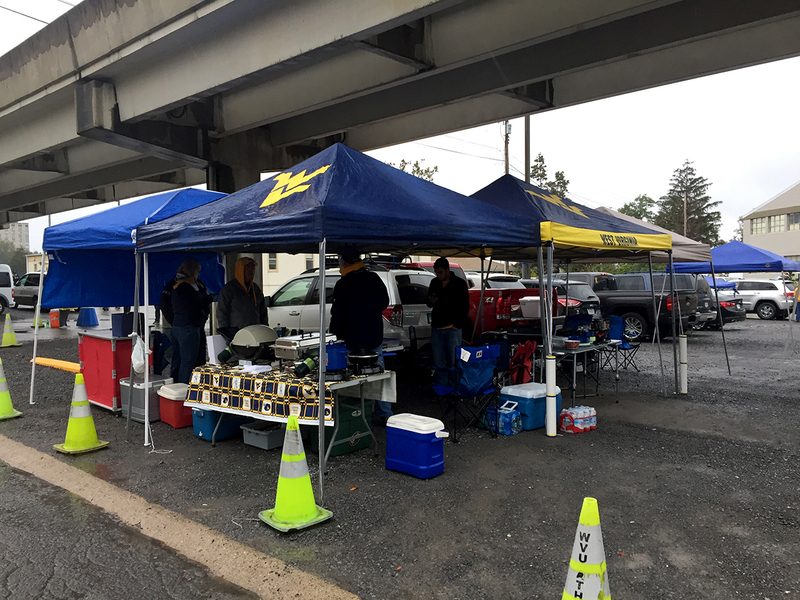 It was spitting rain in the chilly morning so I was glad we had 4 tents and a couple heaters. 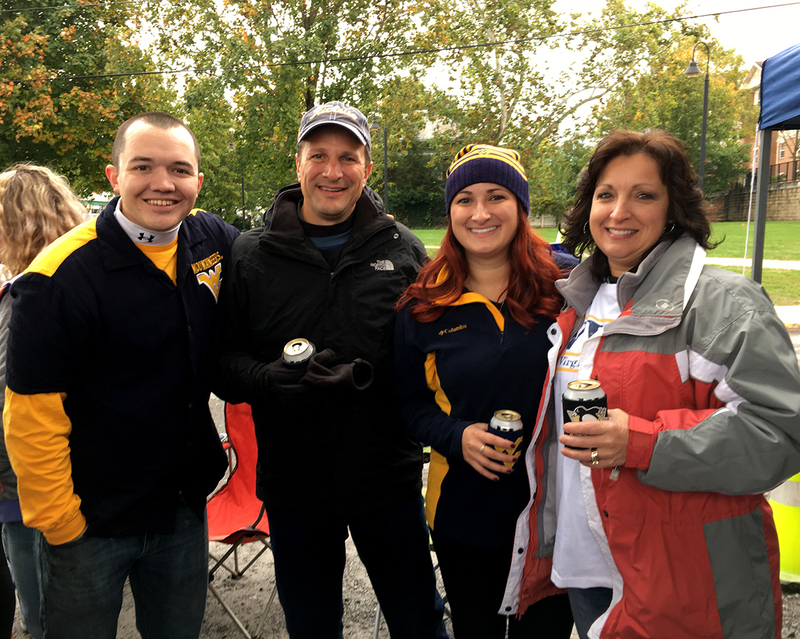 Although neither mom nor Chris drink, they still enjoyed soaking in the atmosphere and the high-jagged energy. 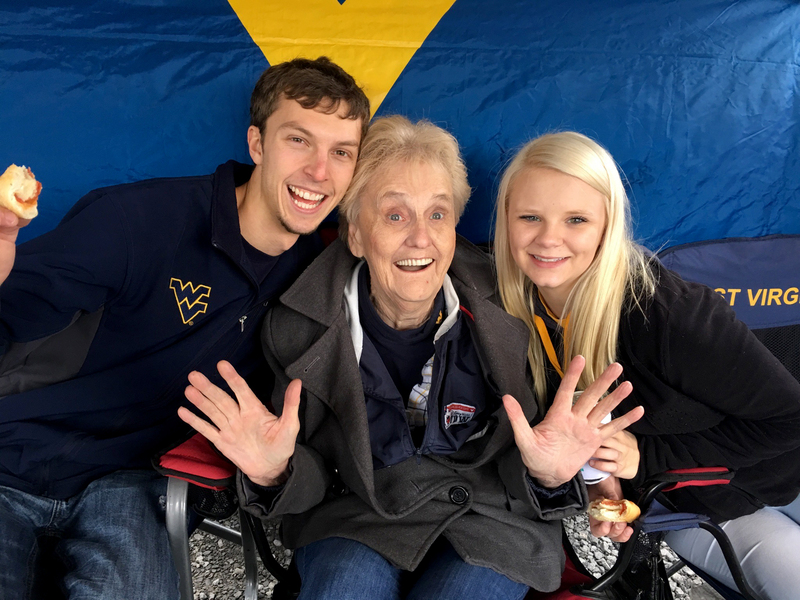 A couple of our WVU students also bonded with my Mountain Mama. 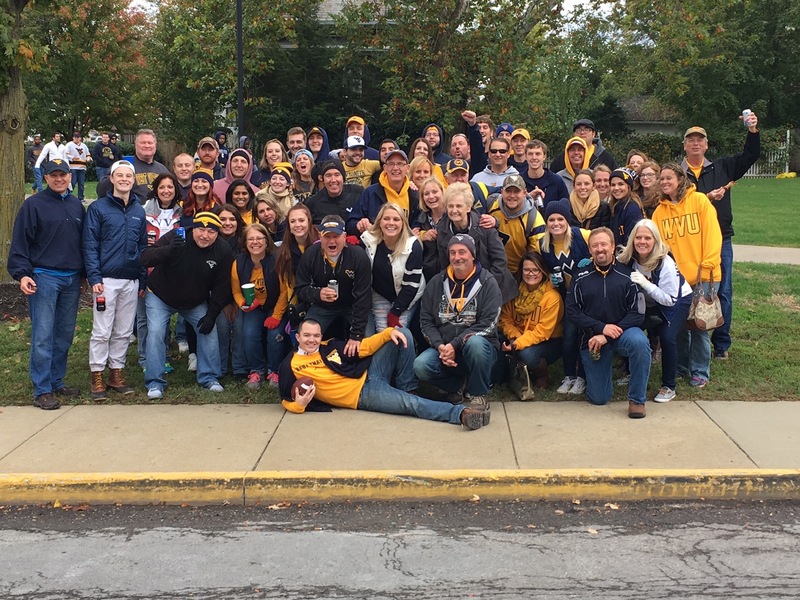 This was by far our largest tailgate as our friends and several families of our WVU students also joined us. 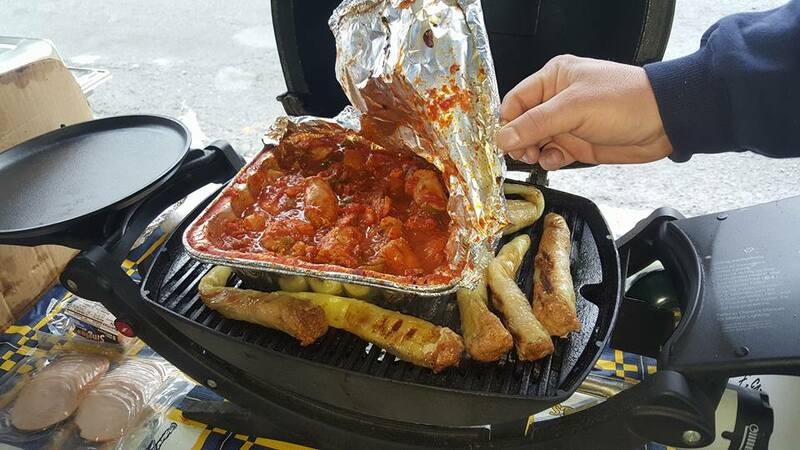 Our tailgate was so crowded there wasn’t even enough room for a fork to drop. 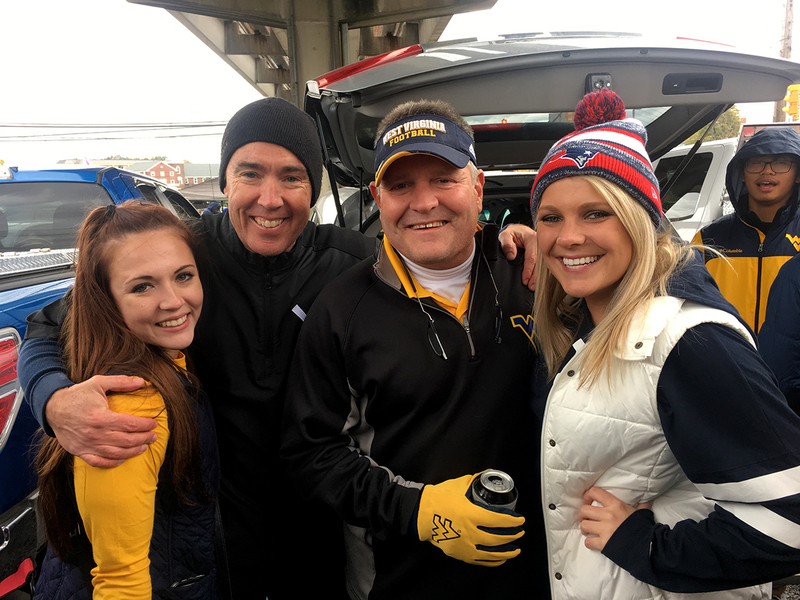 But it’s awesome to have so much family bleed blue and gold. 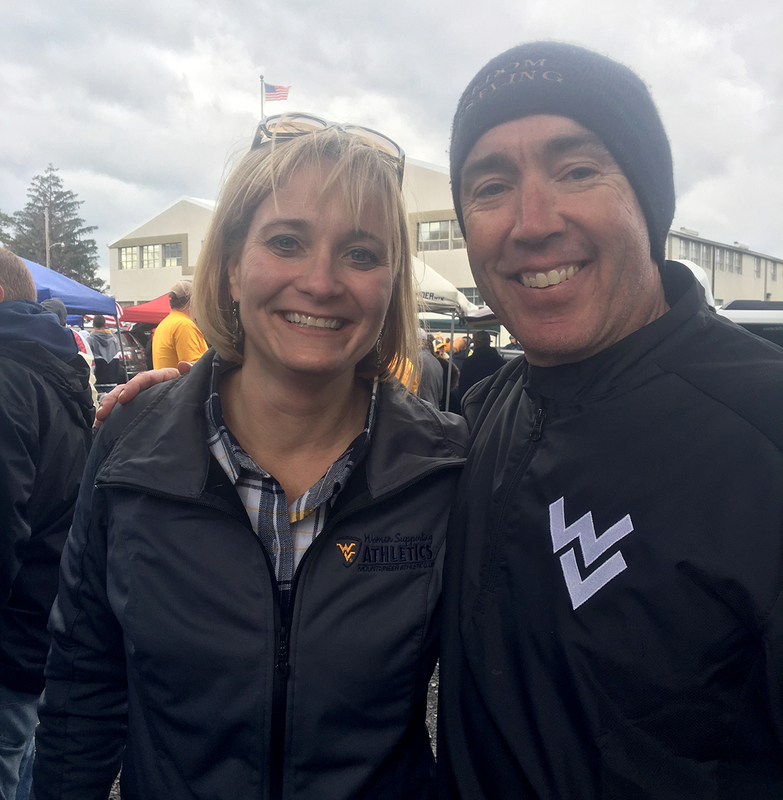 And the thing about Mountaineer families is they’re grounded, passionate and tireless in their affection for our beloved school and sports teams. 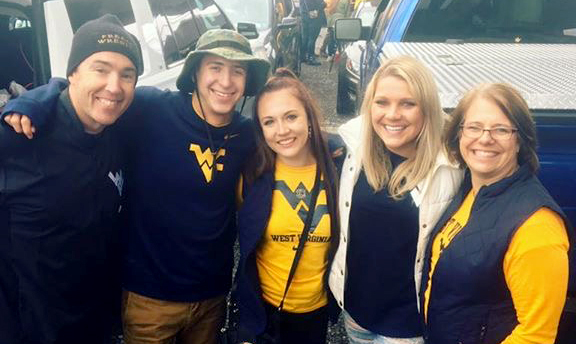 Lauren Melanson, who’s a double major in psychology and criminology with a minor in forensic science, was excited that her entire family made it down from Boston. 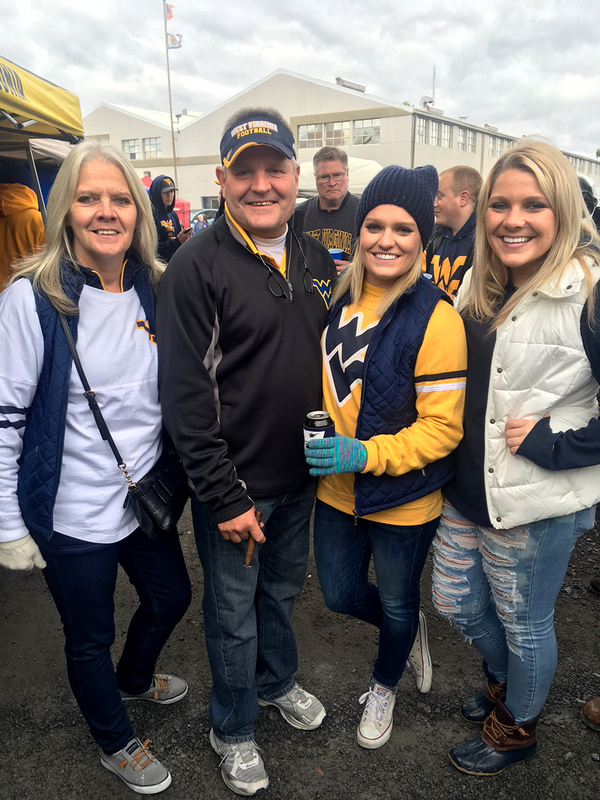 “I love when my dad and his friends make it down for a game because they just love college football and the atmosphere at WVU is like no other school they have been to,” Lauren said. 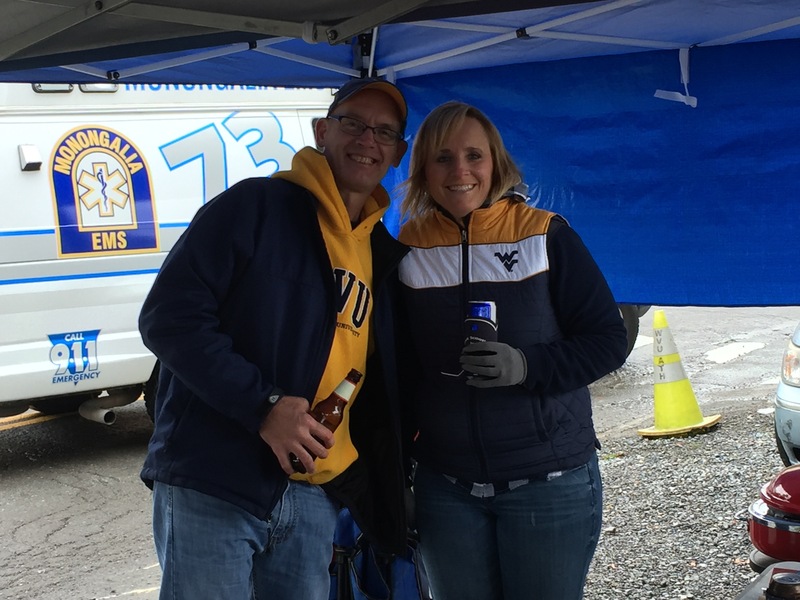 George and Stacy Connors and Martin and Sophia Mulholland of Virginia also came to enjoy game day. 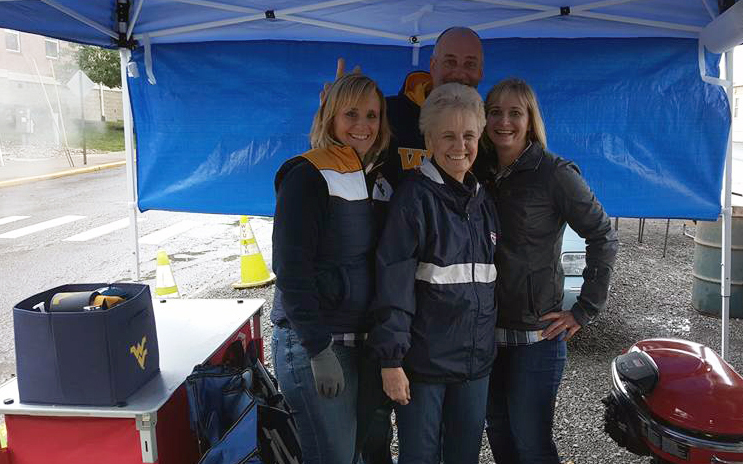 This was the Mulholland’s first WVU tailgate. 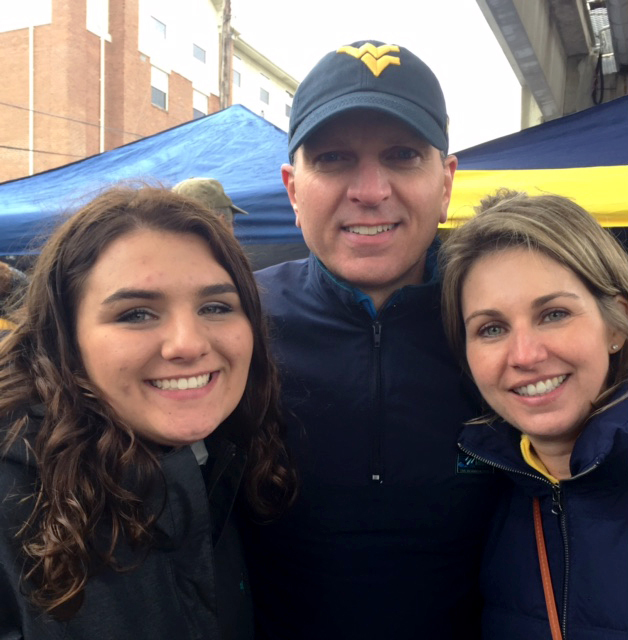 Their daughter, Katie, is a freshman in the WVU college of business and economics. 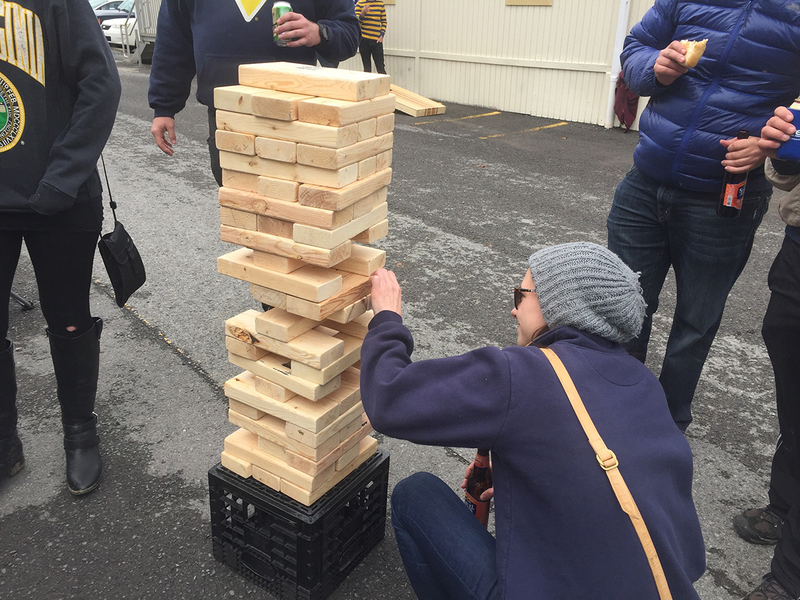 George and Stacy’s daughter, Sara, is a junior sport and exercise psychology major. 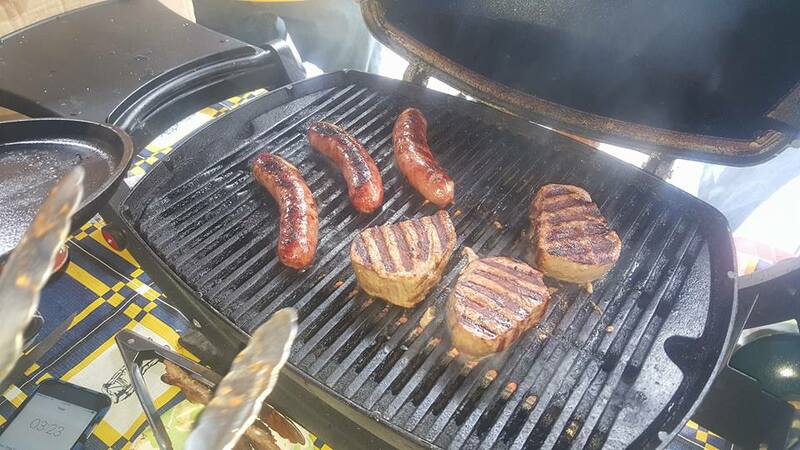 George and Stacy are Clemson alumni, so I had to get his take on the tailgating atmospheres at each school. But there’s one important way they’re the same. Making new friends and sharing stories and experiences with cool people topped George’s list of favorite moments. 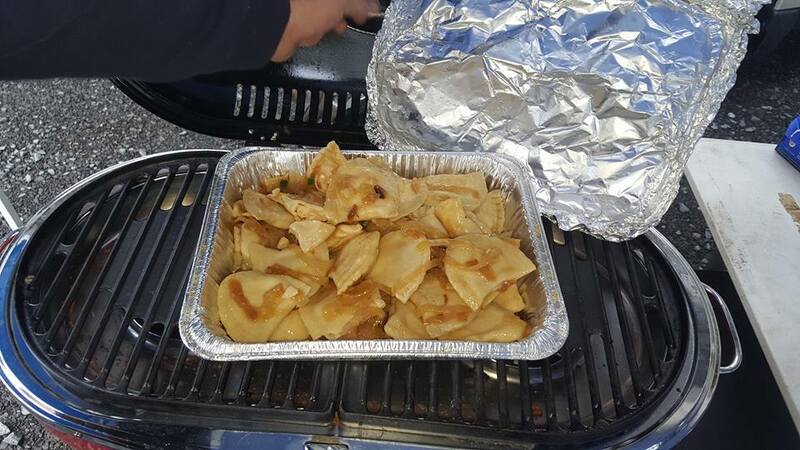 We folded up our tents by 3 p.m. so we could get to the stadium in time for the first kick-off. I love the renovations they’ve made to Milan Puskar Stadium. 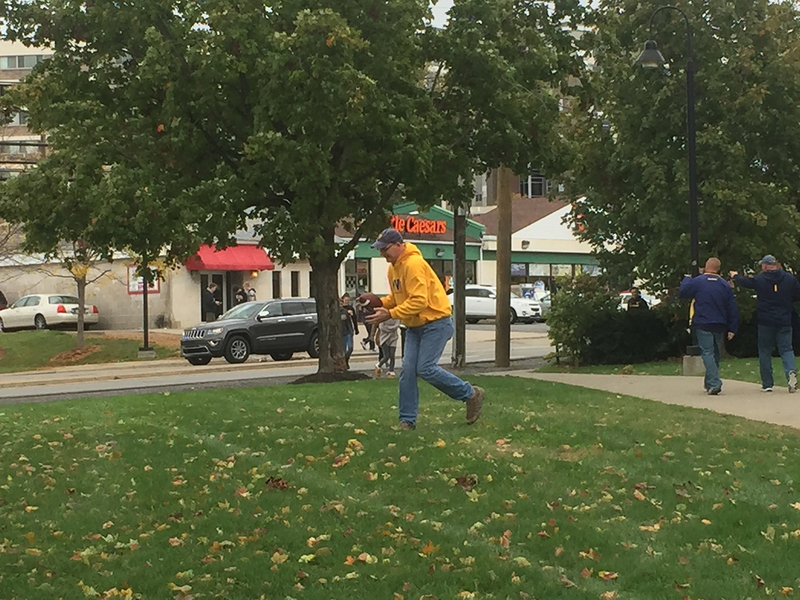 Not only have they spiffied up the inside of Mountaineer field, they’ve also added more gates. 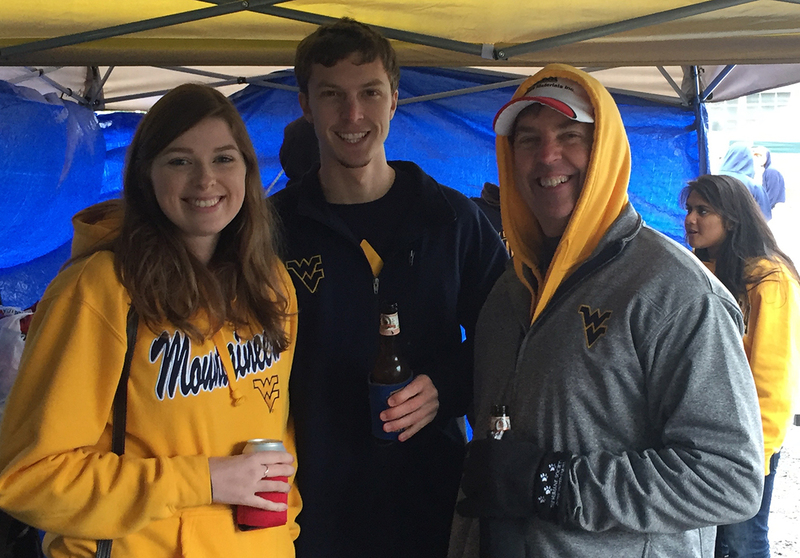 After a resounding victory where we squashed the Horned Frogs, 34-10, West Virginia broke into the top 10 rankings. Now, our team heads to Stillwater to play Oklahoma State. My advice: Mountaineers, keep climbing! That’s our rallying cry this season.